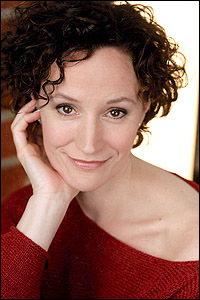 Walsh, who was nominated for a Tony for the role of Trina in Falsettos, also played the mother in the Broadway musical Big, and she played Joanne in the 2006 Broadway revival of Company (with Raul Esparza). She’ll give a concert Sept. 10 at Orlando Rep and two master classes in musical theater Sept. 11 at Starving Artist Studios, which is on the corner of Princeton Street and Mills Avenue, across the street from the Rep.
Leonard, who made her Metropolitan Opera debut in 2007, will give two master classes in classical voice Nov. 5 at the studios and a recital that night at First United Methodist Church in downtown Orlando. Starving Artist Studios is a new multidisciplinary performing arts school opening in August at 2011 North Mills Avenue near Loch Haven Park in Orlando. Registration for all master classes and events will be available on the events page of www.starvingartiststudios.com beginning July 1, 2011. Saturday, September 10, 2011 – 8 p.m.
Universal Theatre at Orlando Repertory Theatre, 1001 E. Princeton St., Orlando. General admission $39; VIP tickets $64 (including reception with the artist). A Drama Desk Award winner and Tony nominee, Ms. Walsh has an extensive Broadway resume including Falsettos (Trina), Company, 2006 Revival (Joanne), Nine (Francesca), Hairspray (Velma Von Tussle). Ms. Walsh will be giving a concert accompanied by Kyle Mattingly on piano. 11 a.m. -1:30 p.m., high school class. 2-4:30 p.m., college/adult class. Broadway and television actress Barbara Walsh comes to SAS to present a musical-theater master class for high school-aged performers through professional adults. Participation in the master class is first-come, first-served and there will be no audition. 11 a.m.-1:30 p.m., high school class. 2-4:30 p.m., college/adult class. Starving Artist Studios welcomes four-time Drama Desk Award nominee Jack Cummings III to Orlando to present two acting master classes. Mr. Cummings serves as artistic director for the Transport Group, a New York theatre company devoted to plays and musicals, both revivals and premieres, which deal with American life in the 20th and 21st centuries. Transport Group has won both an Obie Award and a Drama Desk Award. Popular photographer Michael Cairns of Wet Orange Studios will be coming to Starving Artist Studios for a day of headshot sessions at a greatly reduced rate! Sessions are $79 each and include a CD of 40 exposures. Normal cost for this package is $179. Reservations are required and can be made on our website beginning in August. Participants $75; no observer tickets. 11 a.m.-12:30 p.m., high school class. 1-2:30 p.m., middle school class. 3-4:30 p.m., college/adult class. The winner of Bravo TV’s Step It Up and Dance comes to Orlando to present a day of dance master classes. Mr. Green’s Broadway credits include West Side Story (Riff), Movin’ Out (Eddie), Grease and Mamma Mia! Cody can be heard singing “Jet Song,” “Cool” and other selections on the new Broadway cast recording of West Side Story, which won the 2010 Grammy Award as Best Musical Show Album. Feature film credits include Center Stage 2 (Nick Hoffman), Across the Universe and The Curious Case of Benjamin Button. Participation by audition only. Open to high school and college-aged singers. No cost for participants; $20 observer tickets available. World-renowned mezzo-soprano Isabel Leonard comes to SAS to present two classical voice master classes — one for high school singers and one for college-level and adult singers. After making her Metropolitan Opera debut in 2007, Ms. Leonard has quickly grown to become one of opera’s brightest stars. Participation in the master class will be by auditions held on September 24 at Starving Artist Studios. Complete information on audition requirements will be available on our website beginning July 1. Recital, Isabel Leonard, mezzo-soprano, with accompanist Vlad Iftinca. Saturday, November 5, 2011 – 7 p.m.
General admission $35; VIP tickets $50 (includes reception with the artist). 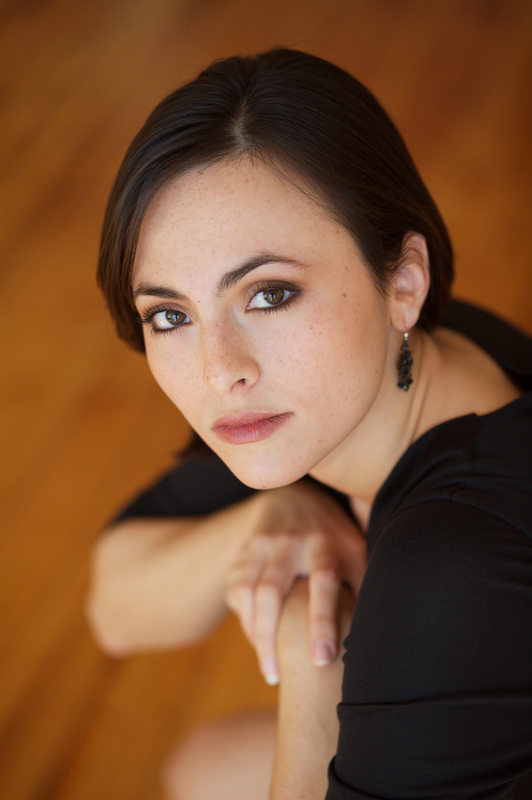 SAS is proud to host Metropolitan Opera mezzo-soprano Isabel in recital! Engagements for Ms. Leonard in the 2010/2011 season include Dorabella in Cosi fan Tutte at the Metropolitan Opera; Sesto in a Laurent Pelly production of Giulio Cesare at the Opera National de Paris, with Emmanuel Haim conducting, and Cherubino at the Opera National de Paris. She will finish the season with a new production of Vivaldi’s Griselda at the Santa Fe Opera. This entry was posted in Arts education, Celebrities, Opera, Orlando theater and tagged Barbara Walsh, Falsettos, Isabel Leonard, Metropolitan Opera, Starving Artist Studios. Bookmark the permalink.